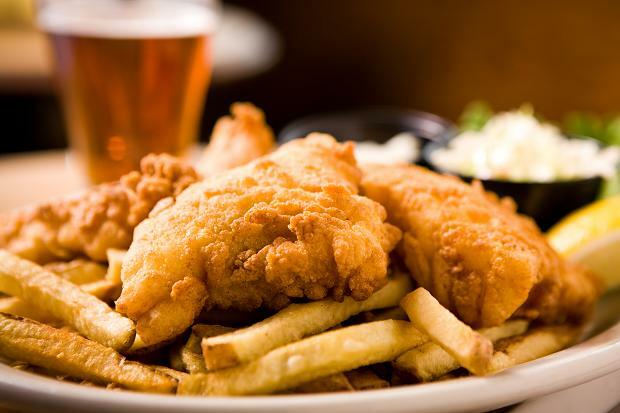 The Great British Invention consisting of battered white fish, usually Cod, and potato chips (the Belgian invention called frites, not French as they fried sliced potatoes). With a long history of fishing as a staple diet and potatoes arriving with the expanding British Empire the two eventually combined to make an irresistible meal. It's popularity was boosted during World War II when fish and chips remained one of the few foods in the United Kingdom not subject to rationing. The dish grew popular in London and South East England in the 19th century. Charles Dickens mentions a "fried fish warehouse" in Oliver Twist, first published in 1838, while in the north of England a trade in deep-fried chipped potatoes developed. 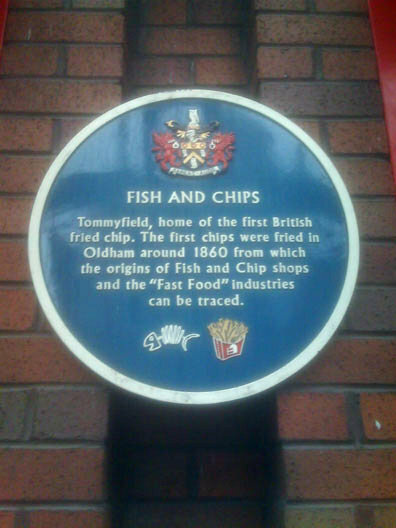 Tommyfield market in Oldham is considered the home of Britain’s first fish and chip shop.